The Games with Gold April 2017 lineup could be announced this week if Microsoft continue their recent announcement trend. Last month saw the March game's roster confirmed on February 22, so it stands to reason that the tech giant will follow suit this week. No title from the Games With Gold April lineup have been leaked so far, meaning fans will have to wait and see what Microsoft have planned. March provided a bumper month for the GwG program, with fans having the choice of Layers of Fear, followed by E3 2014 “Game of Show” Evolve Ultimate Edition. And while Layers of Fear will be removed from the roster of free titles by the end of the month, Evolve will remain downloadable until April 15. In an unexpected move, Sony has beaten Microsoft to it, revealing April's first PS Plus game ahead of schedule. PS4 title Drawn to Death will be available as one of April's PlayStation Plus free games from April 4. Drawn to Death is described as a third-person shooter/brawler that "takes place entirely inside the pages of a high school kid’s notebook. All of the kid’s creative drawings come to life and battle it out in this highly competitive, fast paced, online action game." Microsoft's next wave of Xbox One exclusives include Sea of Thieves, Halo Wars 2, Crackdown 3 and more. 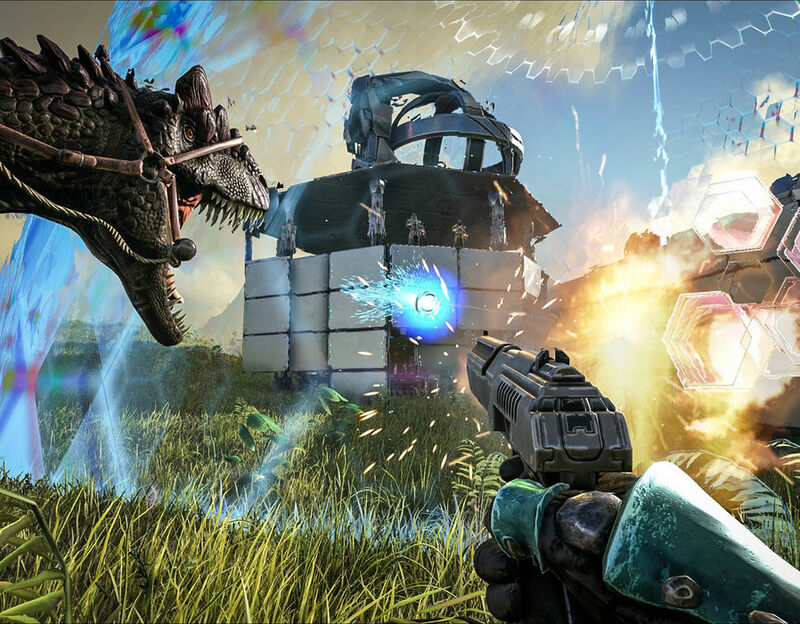 The new ARK Survival Evolved update is now live on Xbox One, Studio Wildcard has confirmed. 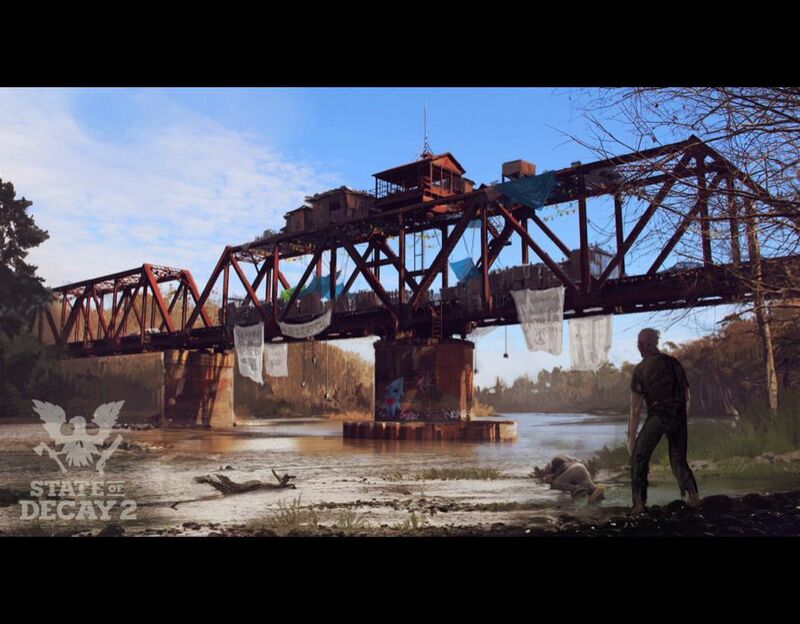 The Xbox version was launched several hours after the PS4 patch, due to the size of it. Microsoft console owners have a 19GB update to complete tonight before they can check out any of the new content. It should also be noted that a new Scorched Earth has also been released today for Xbox One, weighing in 5.29GB. Electrophorus Beluadomito - A species of Knifefish, Electrophorus uses an electrical charge to zap its prey, bringing down smaller fish and eels. Tribes have been known to capture and tame schools of Electrophorus in order to use them for taking down larger aquatic animals. Microraptor Gnarilongus - Resembling a bird with a reptilian face, Microraptor is a vicious predator that is instantly aggressive to anything its size or smaller (including humans). Able to jump, run and do short glides, Microraptor is incredibly dangerous alone or in packs, and when trained, they can even take riders right out of their saddles during combat. Ammonitina Multiamicus - One of the more unique creatures of the sea, the Ammonite resembles a nautilus, but much bigger. For unknown reasons, an attack on an Ammonite brings forth the wrath of all neighboring sea creatures, who will fervently defend it. This makes it a challenge to kill one, though the rewards are often worth it - the shell itself is valuable (as it is rare) and the bile can be used to concoct a unique new pheromone dart. Thylacoleo Furtimorsus - Also known as the "marsupial lion", Thylacoleo is a powerful predator native to the island's redwood forests. A strong bite - the strongest of any land mammal - and bolt cutter-like teeth, make this creature a formidable ambush predator, leaping from above to crush the necks of its prey. ALL the new content from the latest ARK Survival Evolved updates. Call of Duty 2017 developer Sledgehammer Games are on the lookout for new team mates to focus on top notch in-game animations. A new job vacancy is advertising as much on the official Activision website, here’s everything they’re looking for: “We are in search of an Associate Animator to create in-game and cinematic animations of the absolute highest quality. “We’re only interested in the best of the best character animators – if you’re creating the most complex, believable, human animations in a timely manner, then we want you. Sledgehammer Games boss Glen Schofield has been teasing fans on the upcoming reveal for Call of Duty 2017, which is likely to be unveiled in April. Stating that his hands were tied when it came to giving out big details, Schofield told fans on Twitter: “here's nothing I can say about the game except there are boots and ground and I guess some roots. I hope I can talk soon or I may implode.